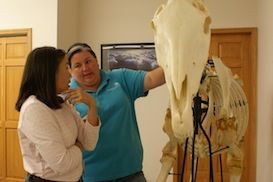 Comparative Anatomy – 8 hours – All pertinent aspects comparing equine, bovine, canine, feline and human osteology, myology and syndesmology will be discussed. Fully articulated skeletal models of the horse and dog, equine and canine spine models, as well as hundreds of individual bones and models are available for use in these classes. Neuroanatomy and Physiology – 5 hours – The basic cellular and physiological processes of the neuron and nervous system will be discussed. Topics include cellular neuroanatomy and physiology, the brachial plexus, the lumbosacral plexus, the autonomic nervous system and the cranial nerves. Topographical Laboratory – 6 hours – All students will statically palpate and locate all pertinent anatomical landmarks on the equine and canine. Dissection Laboratory – 8 hours – Students will investigate and study pertinent comparative anatomical structures by dissection and by examining previously dissected specimens. Basic Spinal and Extremity Biomechanics – 4 hours – Normal movement and joint mechanics in each motion unit of the body will be discussed in order that the student is able to analyze normal versus compensatory movement. Advanced Biomechanics – 3 hours – Equine and canine gait analysis including topics such normal gaits, abnormal gaits and conformational faults and gait. Applied Functional Neurology – 7 hours – These lectures explore the functional aspects of the nervous system as it applies to animal chiropractic diagnosis and treatment. Topics include the evolution of joint injury, mechanoreceptors and proprioception, spinal reflexes and cord level reactions, suprasegmental control, and nociception as well as lectures that put it all together. Differential Diagnosis of Large and Small Animal Neuromusculoskeletal Conditions – 4 hours – These lectures emphasize an integrated diagnosis of the entire patient using diagnostic resources of signalment, history and consultation, posture analysis, static palpation (osseous, muscle, temperature, coat changes, etc.) motion palpation and gait analysis. Emphasis is placed on how these diagnoses relate and integrate into the primary health care of the animal. Motion Palpation Laboratory – 8 hours – These laboratories assist the student in developing their ‘feel’ for the normal versus abnormal movement in motion units. Motion palpation is carried out on small and large animal as well as each other. Diagnostic Imaging – 4 hours – Plain film radiography, digital radiography, myelography, fluoroscopy and magnetic resonance imaging are discussed and evaluated for normal and abnormal findings. Neurological Examination – 2 hours – This lecture explores the traditional equine and canine neurological examination including live and video demonstration. General Principles of Animal Chiropractic Adjusting – 4 hours – Certain factors increase the efficiency, safety, reliability and comfort of the doctor and patient during the chiropractic adjustment. These factors are discussed and demonstrated. General Principles of Animal Chiropractic Adjusting Laboratory – 8 hours – Students will learn and fine tune, through hands on laboratories, the principles learned above. Topics such as doctor hand and body positions, contact points, safety and handling, use of speeder boards and intricacies of the chiropractic adjusting thrust will be practiced. Basic Animal Chiropractic Adjusting Techniques – 16 hours – Specific animal chiropractic treatment techniques will be discussed and demonstrated. 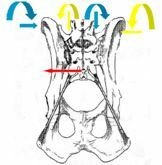 Areas included are sacropelvic, thoracolumbar, cervical, front limb, rear limb, ribs, TMJ, tail and cranium. Basic Animal Chiropractic Adjusting Techniques Laboratory – 20 hours – Individual hands-on instruction in all adjusting techniques above are practiced on the horse and dog. Review of Basic Animal Chiropractic Adjusting Techniques – 7 hours – All basic animal chiropractic adjusting techniques are reviewed. Review of Basic Animal Chiropractic Adjusting Techniques Laboratory – 13 hours – All adjusting techniques taught the module before are reviewed and individual hands-on instruction is utilized for the second time on each technique. This individual hands-on teaching occurs a third time during the integrated module as a review before the final examinations. Open Question and Answer Technique Laboratory – 4 hours – Students are given a chance to ask any questions they may have while in a laboratory setting so that demonstration on the animal is possible. Comparative Animal Chiropractic Techniques Lecture and Laboratory – 4 hours – At least four different animal chiropractic adjusting techniques are demonstrated and the students are encouraged to ask questions about each. This gives the student exposure to other methods and affords them the opportunity to seek further education in those techniques if desired. Rehabilitation – 2 hours – This lecture offers a basic review of several muscle, exercise and rehabilitative techniques. Basic Case Management – 7 hours – These lectures address some of the common topics in everyday case management including, the lay lecture, introduction to leads and collars, introduction to saddle and harness fit, equine teeth and bits and the equine foot. Integrated Case Management – 6.5 hours – (All of the following are addressed by lecture, in small group discussion and/or with expert panel debate through an open question forum.) Review of the chiropractic theories and the contemporary vertebral subluxation complex; define assess and apply animal chiropractic diagnosis of the vertebral subluxation complex; and, investigate the creation and application of appropriate clinical goals and applying them to our integrative treatment protocols. Basic Chiropractic Theories and Tenets – 16 hours – Fundamental chiropractic topics are discussed including terminology and listing systems, history of chiropractic, vertebral subluxation complex 1 – chiropractic theories, and vertebral subluxation complex 2 – exploring the contemporary VSC. 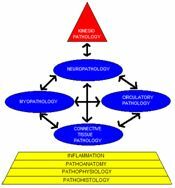 Chiropractic Pathology – 4 hours – Pertinent chiropractic pathologies and how adjusting techniques as well as integrative modalities can influence treatment of those pathologies. Basic Veterinary Theories and Tenets – 16 hours – Fundamental veterinary topics are discussed including safety and handling, physiology and pharmacology, zoonotic and metabolic conditions and lameness including demonstration of the lameness exam. 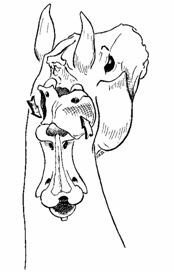 Veterinary Pathology – 4 hours – Pertinent large and small animal pathologies are discussed as well as their implications in complimentary chiropractic care. Discussion on how chiropractic and other integrative modalities can influence treatment of those pathologies.